Molds. They are everywhere and we’re exposed to them every day. They come in different forms and colors like the black spots on your shower curtains, or the mildew on your bathroom and kitchen tiles, or the white patches on walls and floors, or the invisible toxic mold in the air. Molds grow in warm, dark and moist environment. Where there is moisture problem, there is mold. In fact, moisture is the key cause of mold growth. Air conditioners are only used intermittently. This allows moisture, dust and debris to collect in the air handler where molds can grow. 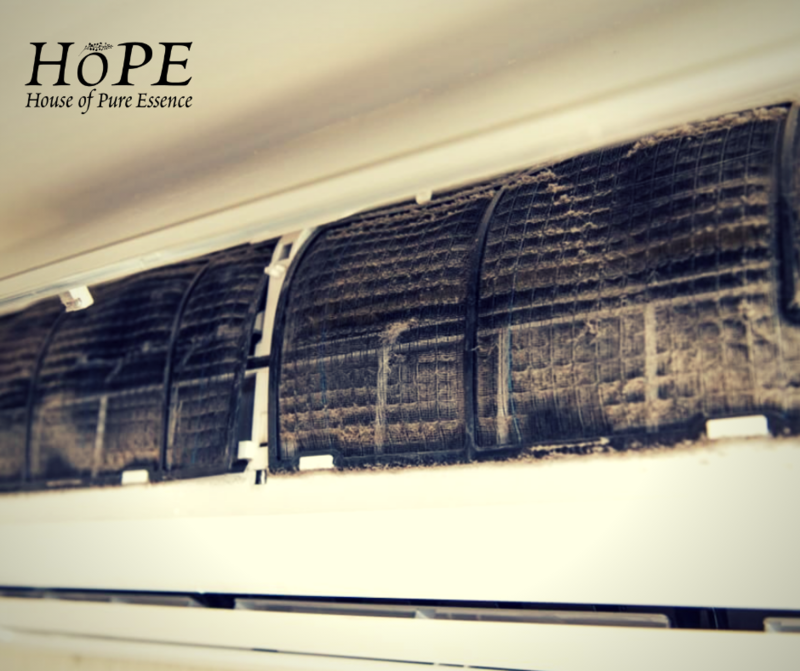 As molds grow, its spores make their way in to the ducts system and front of the AC unit where they can be spread easily in the air and be inhaled by you or your family. That’s why it is very important to take immediate action to protect your family’s health. The truth is there are more to molds than musty odors and being unsightly. Mold can be a serious problem in any home or office. Exposure to molds also poses health risks. It can make you sick whether or not you are allergic to molds. The common effects of exposure to molds include eye irritation, sinus problems, stuffy or runny nose, sneezing and watery eyes, asthma attacks and other respiratory problems, and dry and scaly skin. Those who are allergic to molds can have more severe reaction. The key to making sure that you are safe from the harmful effects of mold is by killing it as soon as you spot the signs of mold growth. You have to act fast before it is spread throughout your home or office. How to Tell if Your AC Unit has Molds? Watch out for these signs to identify if molds are present in your air conditioning unit. Musty smell. The pungent odor increases upon running the air conditioner. Other issues like itchy and watery eyes, fatigue and headache, impaired concentration that gets worse when running the air conditioner. What Can you do to Kill Molds in Air Conditioning Units? Removing molds is a lot of work and can be costly as well. Professional help is often required to get rid of the black molds. Worse is they can come back any time the moisture builds up in the air conditioning unit again. Fortunately, there is an easy, safe and effective way of killing the molds and its spores. GelAir Health-e Split disperses tea tree oil vapor which is effective in killing molds, bacteria and viruses lurking in your air conditioning system. It also prevents the regrowth of molds in the AC unit. Best of all, GelAir Health-e Split is very inexpensive way to get rid of molds and its harmful effects as it requires no maintenance. You just have to install it against the coils at back of the filter and make sure to replace it every 6 to 12 weeks. Here’s what our happy customers are saying about the GelAir Health-e Split. If you suspect your family has been exposed to molds but are not sure where to start in eliminating them from your home, do let us know. We'll be happy to help.